Payton grew up in on a small ranch in Coleman, Texas and graduated from Texas A&M in 1998 with a BS in Agribusiness and in 2000 with a MBA with a concentration in Finance. From there, he moved to New York and spent over a decade working for Merrill Lynch in their Global Real Estate Principal Investment group where he received broad based experience originating and managing real estate investments in all parts of the capital structure (common and preferred equity, mezzanine and senior debt), purchasing distressed debt, secondary limited partnership interests, international non-performing loan purchases and investments in operating companies. He has experience investing and managing capital in the U.S., South America and Europe. 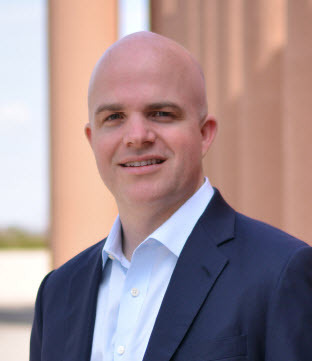 Payton is a founder and managing partner at Cephas Partners, an investor in the real estate private equity industry. Payton served as muster chair and president of the New York A&M Club from 2002-2005 and is a founder, past president and board member of the Northeast Tarrant County A&M Club. He has also served as an advisory board member of the Mays Department of Finance and Master of Real Estate Program. He is involved at his church, 121 Community Church and founded the DFW Christian Business Summit. He serves as a board member to The Men of Nehemiah and enjoys engaging in conversations centered on how to best steward the resources God has entrusted us with. Payton moved back to Texas in 2009 and lives in Westlake with his wife Andrea and three children: Merritt (11); Channing, (10) and Stella (8). You can learn more about his story here.